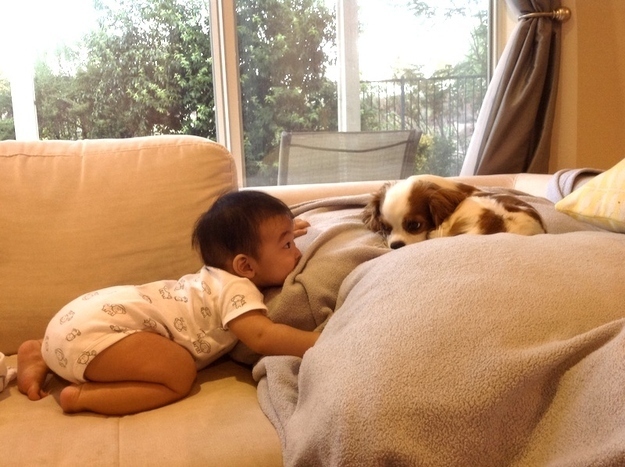 When babies meet dogs for the very first time there are no silly handshakes involved. They like to stick to sniffs, odd glances, laughs and excitement. 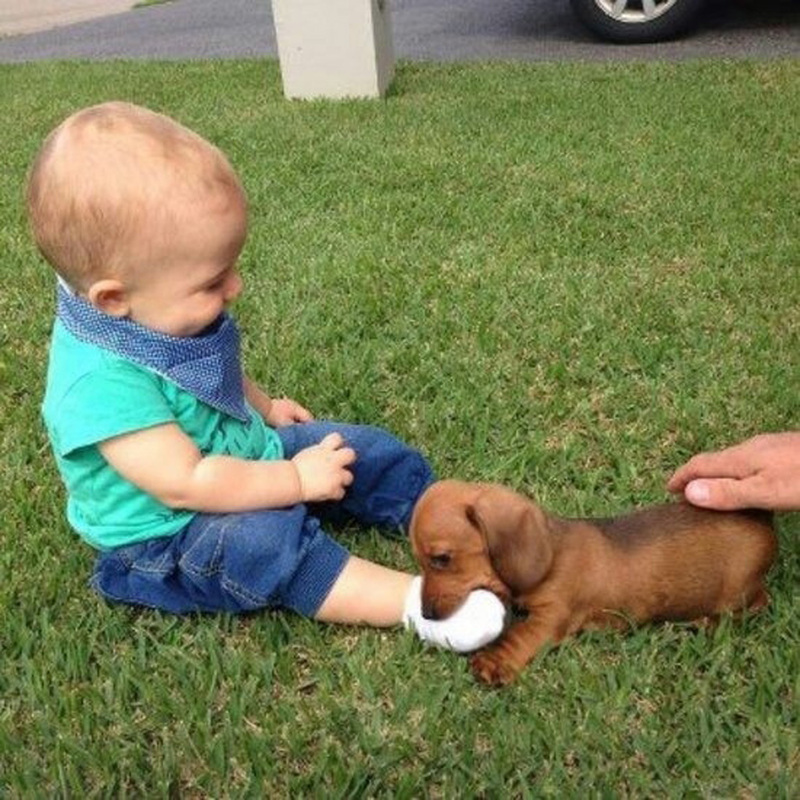 As seen in these 15 adorable pictures of cute pooches meeting some darling infants for the very first time. 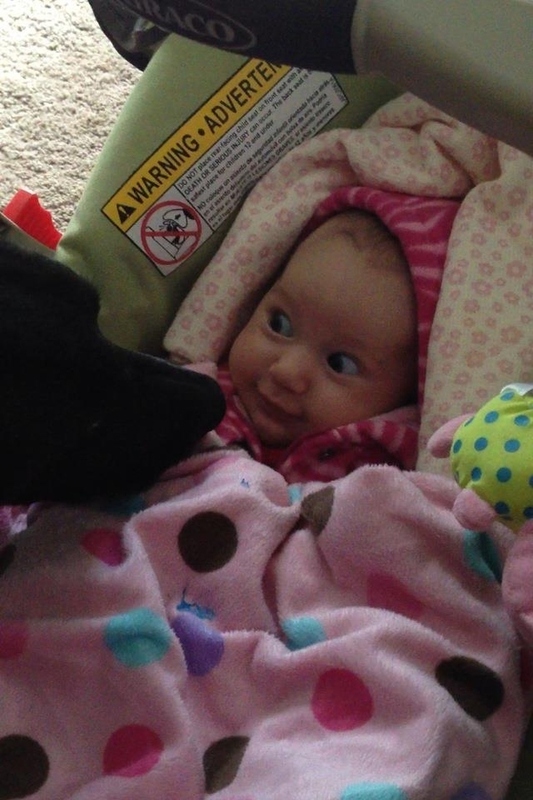 1) That expression is priceless. 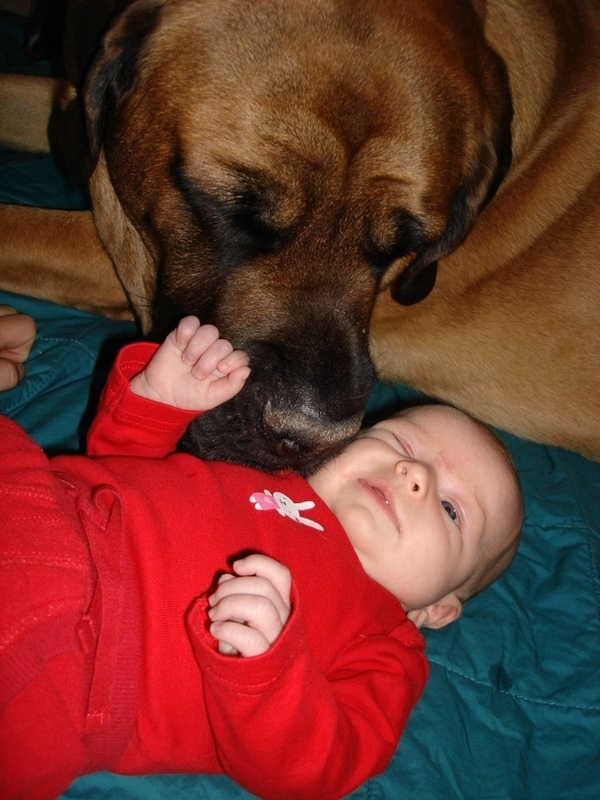 3) That baby is going for a sneak “Boop!” on the nose attack. 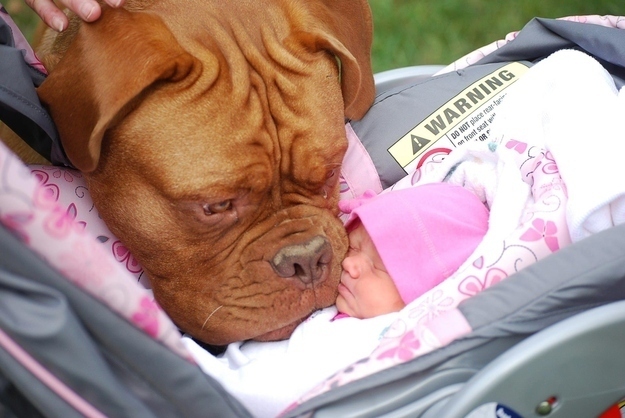 4) That baby now has a loyal guardian for life. 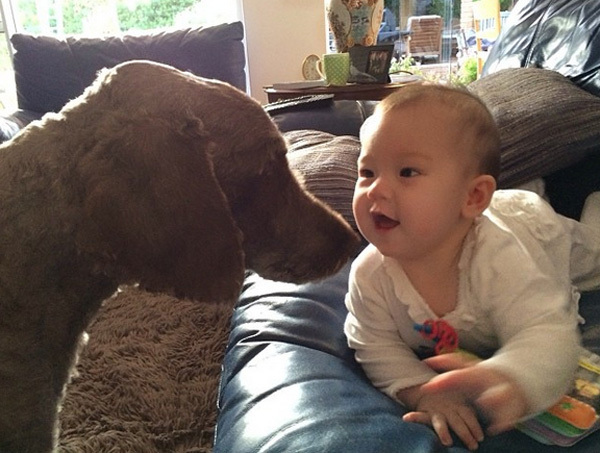 5) “I don’t know what you are, but I love you!” – Thought both baby and dog. 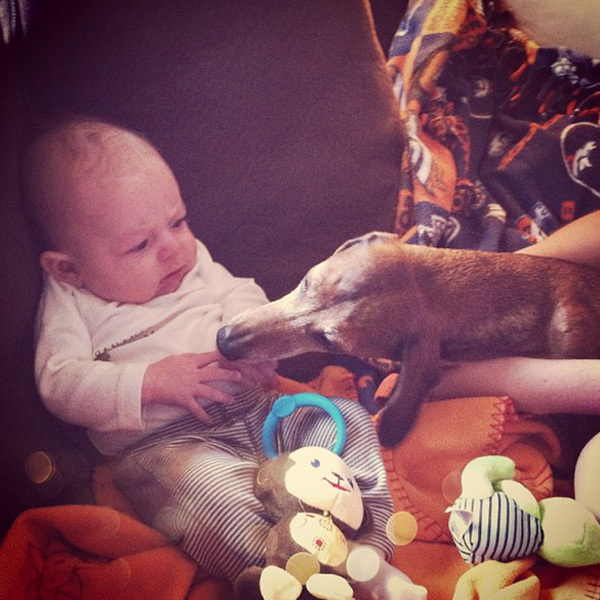 6) Dogs like that new baby smell too. 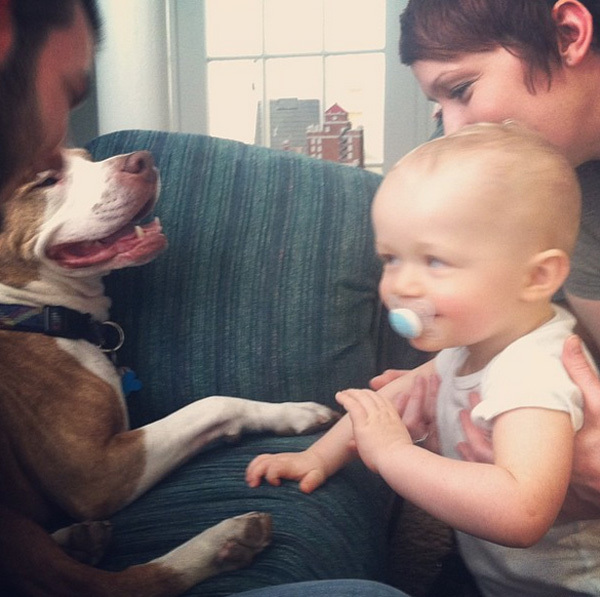 7) Pup doesn’t seem all that impressed, but that baby is ecstatic enough for the both of them. 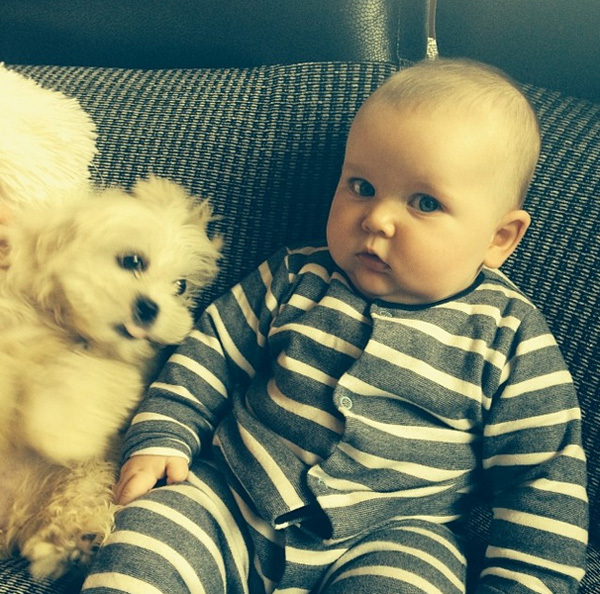 9) That is the fluffiest little dog ever. 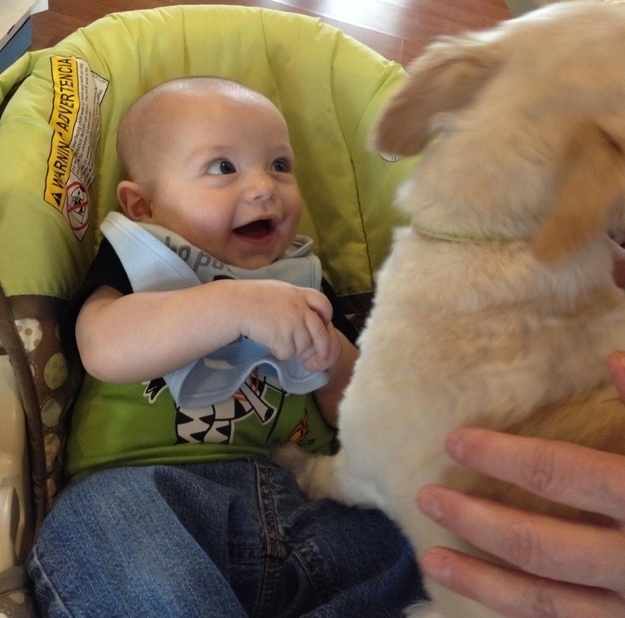 10) Don’t think the dog knows what to make of this smiling little baby. 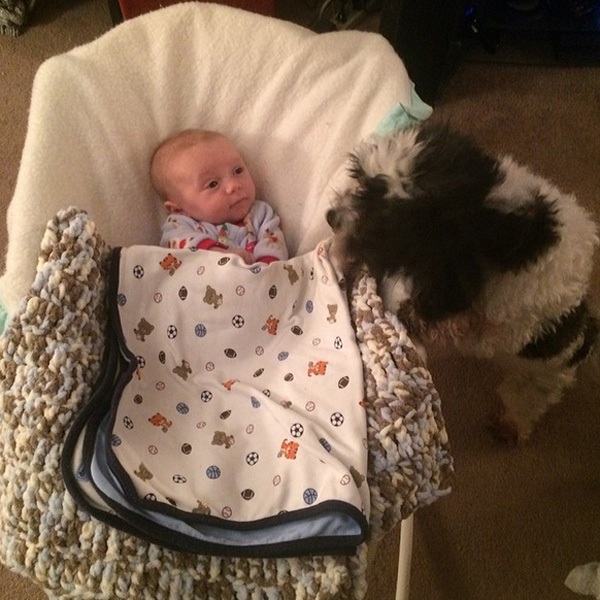 11) And this baby definitely doesn’t know what to make of that sniffing dog. 13) Just sharing a laugh. 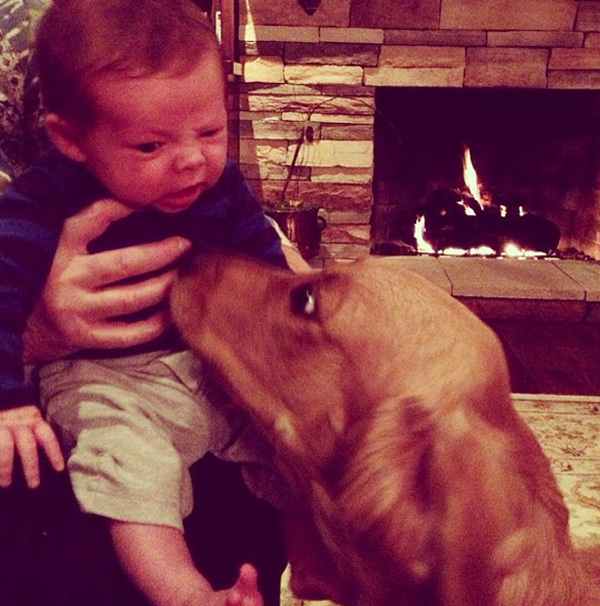 14) That baby seems to be really contemplating what that thing is. Or you know, it’s pooping. 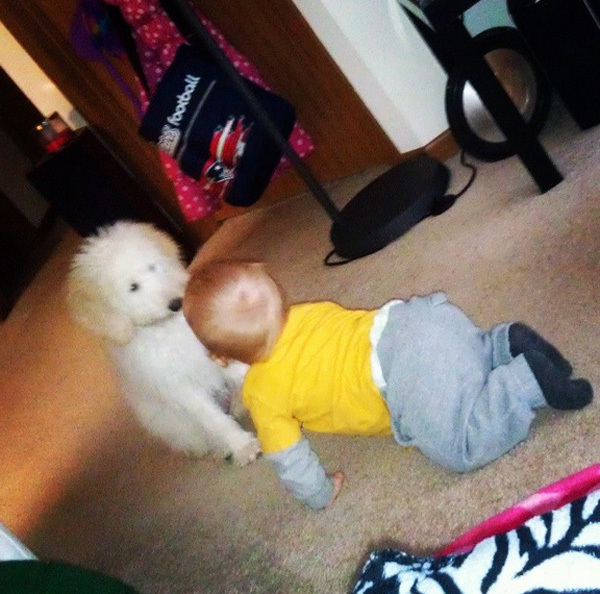 15) And that was the start of a glorious friendship! 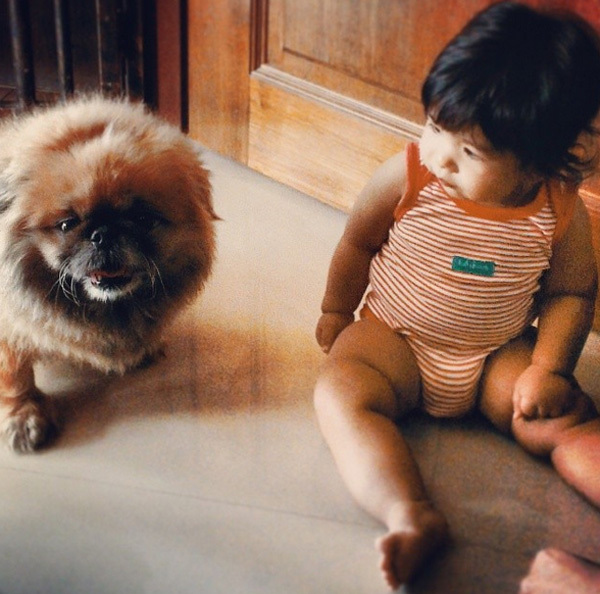 If you are wanting to introduce your dog to a baby, then Cesar Millan (The Dog Whisperer) has a great article here on how you should go about doing so. 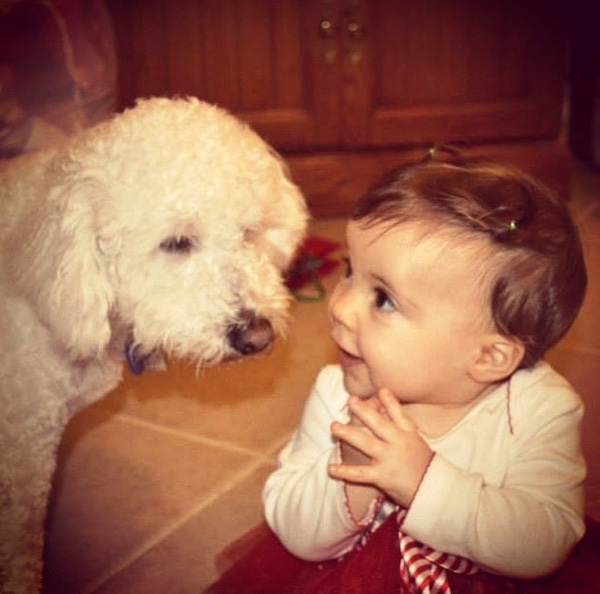 Share these amazing moments of joy with your friends below. 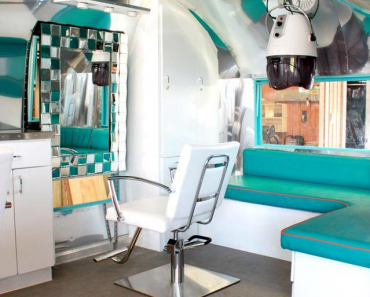 Now this is what is called a Smashing MAKEOVER!! 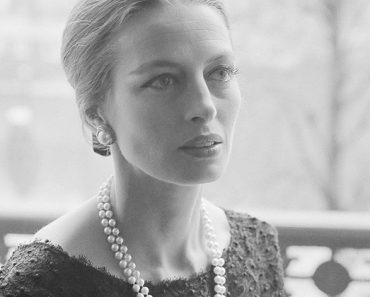 Simply FANTASTIC..